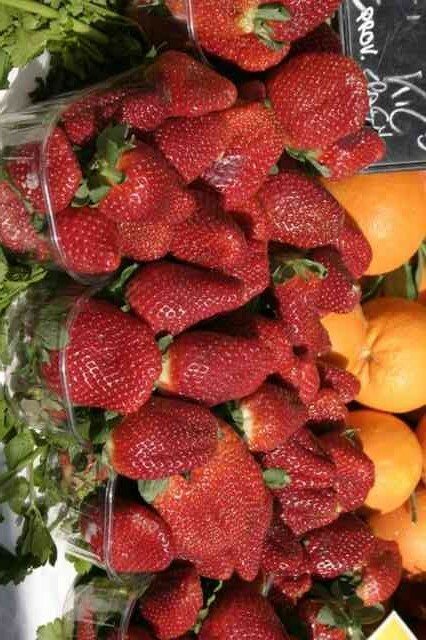 Strawberries are an excellent source of vitamin C and have, gram for gram, more of it than a citrus fruit. One good handful delivers the daily recommended allowance as well as a long list of important minerals, fibre, and also provides 20% of our folic acid requirements. All that at about only 50 calories per serving of a generous handful. Surely one of the highlights for any gardener is eating berries you have grown and nurtured yourself. Not only do they taste sweeter when they are home-grown, but berries like strawberries are one of the easiest fruiting plants to grow and enjoy. Let your children have a few plants of their own too, I guarantee they will love it. Getting started: Buy some virus-free plants (strawberries are prone to disease) or get some healthy runners from friends or family. 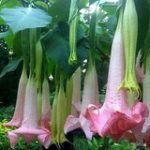 About 20-30 plants provide enough fruit for a family, but even a couple of plants can be a delight to grow. Prior to planting, dig over the soil to remove weeds and any large Gardening in Spain Strawberries clods, and add in plenty of compost or other organic material. 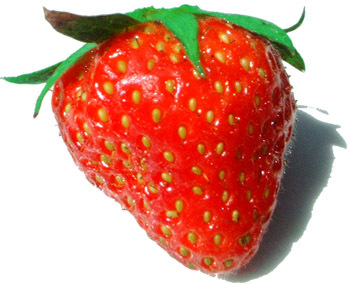 Do not plant strawberries where tomatoes, potatoes, peppers, or eggplant have been grown in the past four years, because these crops carry the root rot fungus Verticillium which also attacks strawberries. Position your plants about 30cm apart, in full sun. Strawberries do best in well drained soil, so plant them into soil that has been mounded up slightly. The crown of the plant, which is the swollen stem base, must be left at the surface of the soil and not buried too deep. Place a mulch of straw around the base of the strawberry plants to help keep the moisture in the ground, control the weeds and keep the fruit from laying directly on the soil. Strawberries are very desirable to creatures other than humans. Birds, slugs, snails and other garden creatures compete for the luscious fruit. Bird netting or wire mesh stretched over the plants may help. Repel snails and slugs by sprinkling pet-safe snail bait around the perimeter of plants. If you only have a small space like a courtyard or balcony you can still grow strawberries because they do quite well in a large pot. Use your vertical space by planting your strawberry plants in one of the large ceramic pots with planting holes at different levels, or try “flying strawberries” in hanging pots. As long as they are planted in a rich well-draining soil and you keep them well-watered you will get plenty of cropping. A strawberry growing-table is also quite easy to construct. It is just a frame of wood on legs with wire as a base. Then just lay a bag of rich potting mix onto the top. Slit 4-5 holes into the bag of potting mix and plant directly into that. Remember to cut drainage holes as well. The beauty of growing strawberries in an elevated position is that they are up a little higher from the slugs and snails that like to snack on them. It is furthermore a real “back saver” when it is time to harvest the fruit. 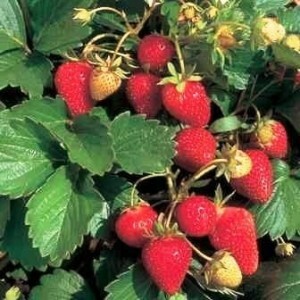 ~ The so called June bearing strawberries (Primavera) produce a large crop of berries over a 2-3 week period in Spring. The disadvantages to June bearing strawberries are that they only bear fruit once a year, and the first year you need to pluck all blossoms from your plants to let them become firmly established. ~ The Ever bearing strawberries (Dia largo) really are not “ever” bearing, but do produce a harvest twice a year, once in spring and again in autumn. 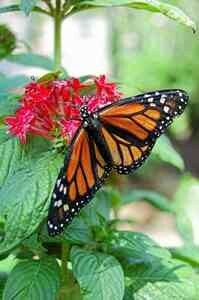 During the first year, pluck all blossoms from ever-bearing cultivars through the end of June. After that, they will blossom again and set fruit for a fall harvest. ~ Day neutral strawberries (Dia neutral) frequently produce a crop of small, but very sweet berries throughout most of the growing season. 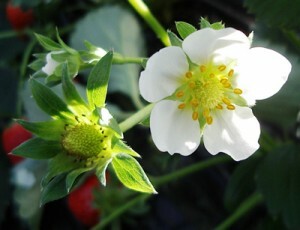 After plucking off the first set of blossoms allow the fruit to set and you will have strawberries throughout the summer. Here in Spain, strawberries come in season in mid to late April through Summer. Plant different varieties to achieve extended cropping. Water well, especially when the young plants are establishing, and during dry summers. To boost fruit production, feed your plants some fertilizer high in potash as they start flowering. Remove brown or soggy fruit to avoid grey mould (botrytis), and regularly apply a milk spray (one part milk to nine parts water) to avoid powdery mildew. Over summer, strawberry plants send out runners that take root to form a new plant. If you do not need new plants, cut these Gardening in Spain Strawberries runners off. Removing the runners as they appear will encourage the plant to put more of its effort into the production of fruit. After fruiting has finished, tidy up the plants by giving them a hard prune down to 10cm. After four years, plants become underproductive. Remove old plants and replant with new virus-free stock. Or gradually replace old plants with new ones. Strawberries are an excellent source of vitamin C and have, gram for gram, more of it than a citrus fruit. One good handful delivers the daily recommended allowance as well as a long list of important minerals, fibre, and also provides 20% of our folic acid requirements. All that at about only 50 calories per serving of a generous handful. So go ahead and enjoy your strawberries. Strawberry Growing 2017: Proven Ways To Grow Strawberries And Crop First Harvest This Year: (Gardening Indoors, Gardening Vegetables, Gardening Books, Gardening Year Round). One of the most charming little fruits you can enjoy. There are few things more iconic than the red berry with its green cap – from strawberry ice cream to strawberry smoothies to strawberry and chicken salad, strawberries have managed to work their way into our menu in more ways than one. Gardening in Spain a selection of books to choose from. A small selection of books are available about Spanish gardening JUST CLICK ABOVE for details. Spain Info, strawberries San Francisco De Asis, Urb Marina, San Fulgencio, 03177, Alicante, Spain.